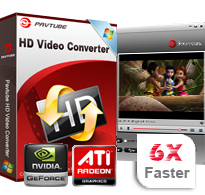 Equipped with advanced HD video encoder and edcoder technology, Pavtybe HD Video Converter can convert with advanced HD video formats, like TS,MTS,M2TS,MKV,MOV,MOD,HD MPEG,HD AVI,HD WMV,HDMP4 ,etc. Besides, the HD footage from HD Camcorder and camera can also be loaded into this software for editing. 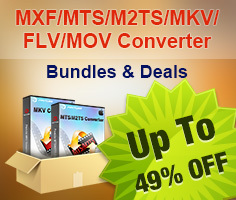 Videos shoot under XAVC (MXF) can be imported flawless, H.265/HEVC decode/encode has added into this powerful HD converter, H.264 baseline/main/high profile also added into the format list. Better video quality can be enjoyed by using those new features. Besides, it makes standard video and audio files including AVI,WMV,MP4,DivX,FLV,MOV…playable on portable devices such as iDevices, Samsung Tab, Blackberry, etc. HD media players(Apple TV 3,Xbox HD,WD TV Live Hub, Dune HD , and more).